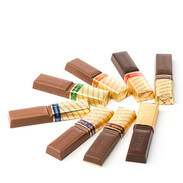 The delicious selection of 8 varieties of fine European chocolates in one unique collection. Known as Europe’s famous gift-giving chocolates, merci products offer something for everyone and is sure to be warmly received. Whether a small token of appreciation or a gift to give as a very special Thank You, merci products have been making its way into people's hearts around the world since 1965. 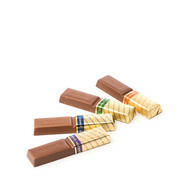 The classic merci – 8 carefully selected varieties, made with fine European chocolates. Available in Great Variety and Milk Variety. merci: a word said around the word. Today, in more than 100 countries all over the world, people say thank you with our merci products. merci products launch in Canada! merci enters the Canadian marketplace with its Classic Finest Selection! Start of the success story! In 1965, Storck surprised the world with a totally new type of chocolates: a selection of fine European chocolates, individually wrapped – the ultimate way to say thank you.